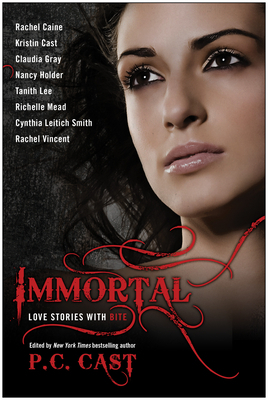 In Immortal: Love Stories With Bite, edited by New York Times bestselling author of the House of Night series, P.C. Cast, seven of today's most popular YA vampire and contemporary fantasy authors offer new short stories that prove when you're immortal, true love really is forever. And Tanith Lee (Black Unicorn) shows us what happens when a bright young woman with some supernatural savvy encounters a misguided (but gorgeous) young vampire.